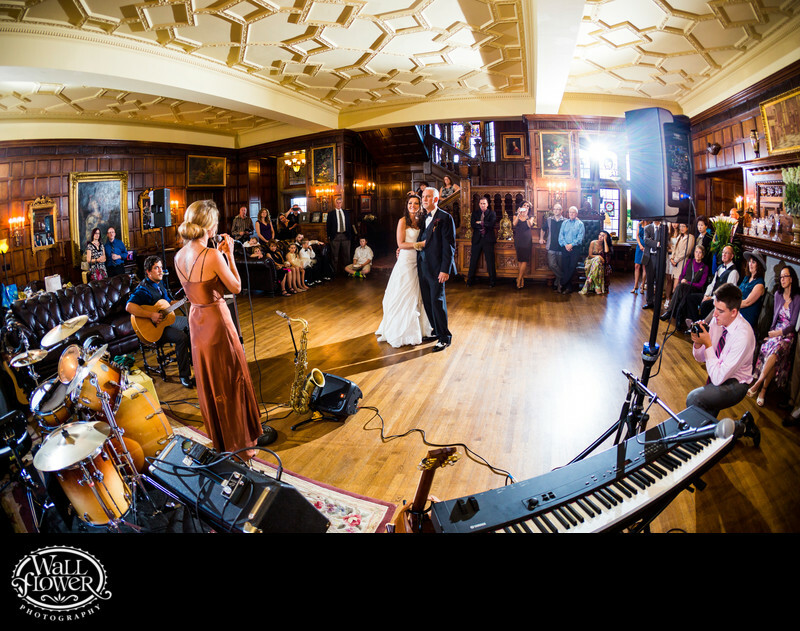 This bride and groom's wedding reception at Thornewood Castle was already cool enough, with live music from James King and the Southsiders. Jaws dropped when the band stepped aside and the bride's daughter stepped to the mic to sing a song for the newlyweds that brought the house down. Three radio-controlled Speedlites on stands (one visible toward the right side) provided some cool lighting that almost simulated concert lighting to further enhance the image.